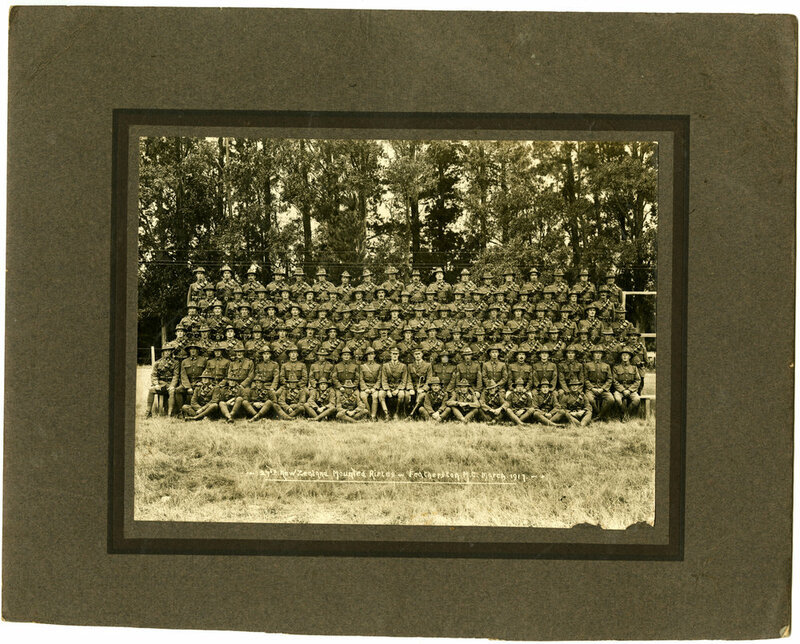 Gilbert is third from left, second row from back. A “Real Photo” Postcard of Gilbert Edison. Gilbert Edison Rose with wife Mary Constance Cecile Hinkley. They married in 1916. Gilbert Rose's parents were early settlers to the Rangiwahia district. Gilbert served with the 27th New Zealand Mounted Rifles during World War One. His military service began on 28 October 1916 and ended 17 June 1919. After training at Featherston Camp, he spent 1917-1918 as part of the Egyptian Expeditionary Force. He caught malaria in 1918 and was hospitalised in Cairo - he was not discharged until January 1919. He died in Feilding in 1945, officially as a result of his earlier malarial infection, and is buried in Rangiwahia cemetery along with his family. These photographs are held with the Rose Papers in the Ian Matheson City Archives.